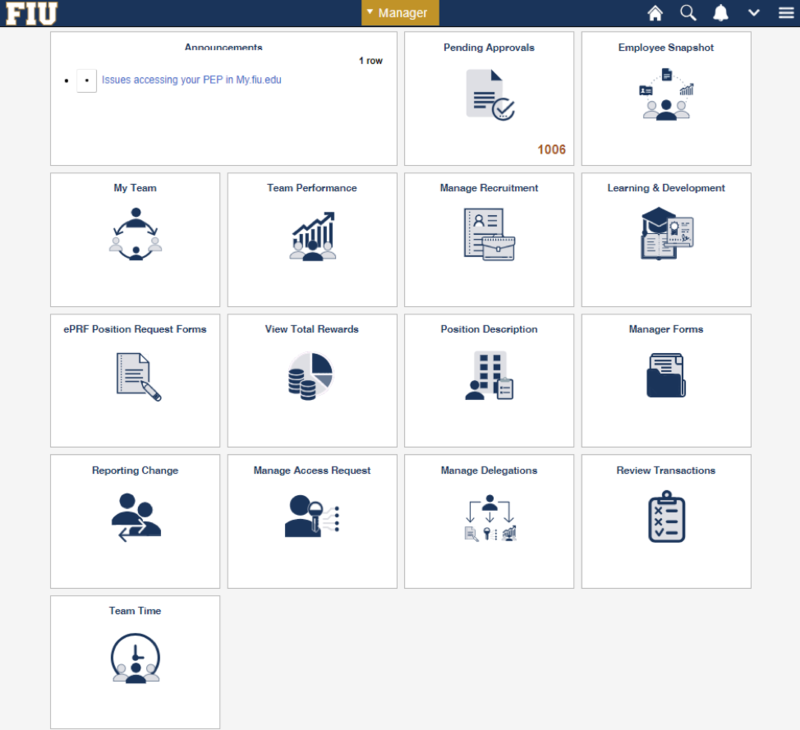 Starting this summer, PantherSoft Human Resources (HR), PantherSoft Financials, Portal (MyFIU), and PantherSoft Campus Solutions applications will adopt a new look and feel. The project seeks to benefit all applicants, students, faculty and staff by providing an enhanced, modern user interface. 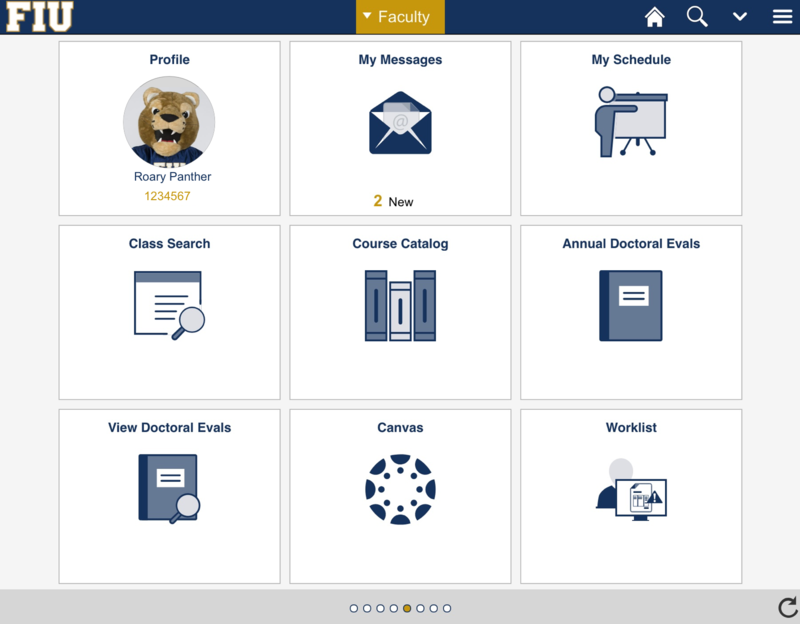 The goal of the PantherSoft User Interface (UI) Redesign Project is to provide students, faculty and staff with a more modern user experience, while at the same time implementing the latest web technologies to leverage analytics, workflows and mobile. The UI redesign will be completed in stages. PantherSoft HR will go-live in July, PantherSoft Financials, and PantherSoft Campus Solutions (MyFIU) will follow in the fall. 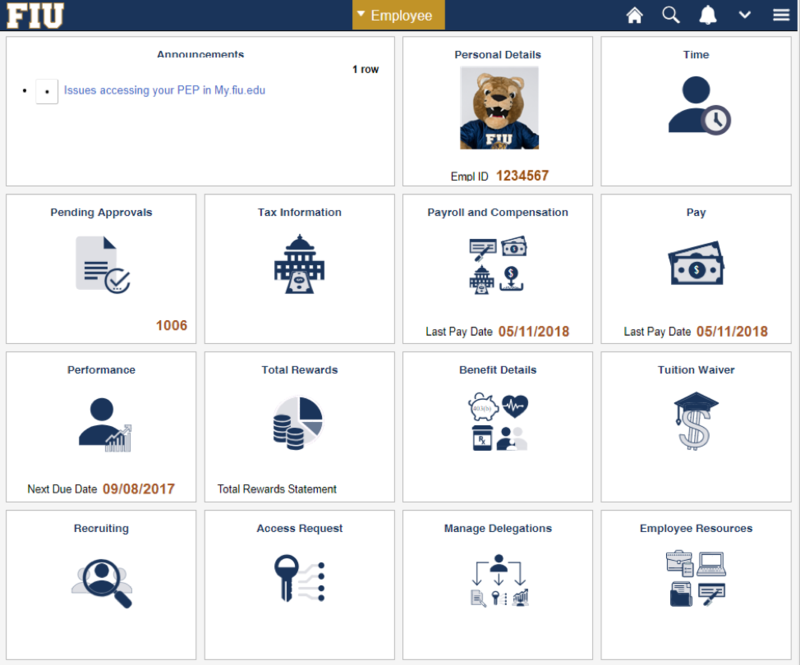 The way users navigate and interact with familiar functions in MyFIU will begin to change once PantherSoft HR has been upgraded. What is the new navigation? The new “Navigator” is easy to use. 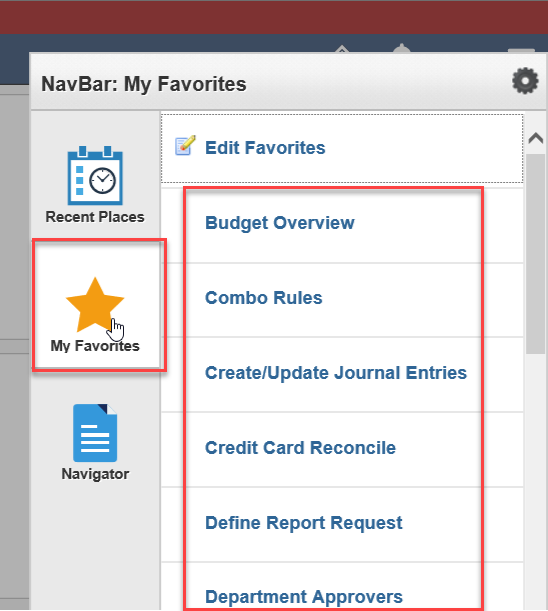 The new “Navigator” can accessed by clicking the Navigation button on the top-right hand corner of the page. And by clicking the “Navigator” icon from the the NavBar. And then clicking the menu and page you would like to access. Homepages consist of a collection of tiles that provides users with quick access to useful information when they log on to PantherSoft. The Homepages can be organized and delivered to end-users with content appropriate tiles depending on the users role. 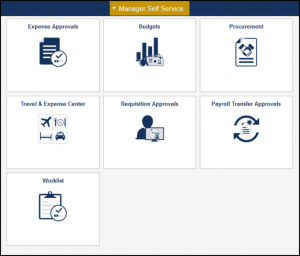 Tiles provide a new PeopleSoft navigational and informational structure. It allows the users a quick way to perform routine tasks, such as viewing SPOTs results, grade roster, or class roster. Tiles give users direct access to targeted transactions. 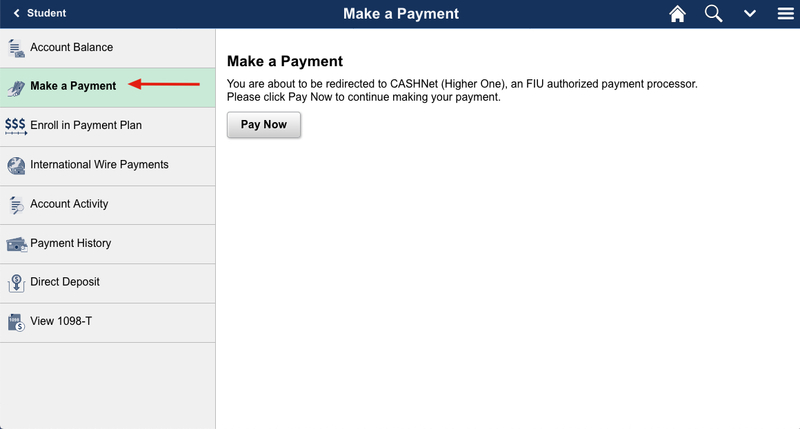 Will the new MyFIU work on mobile devices? 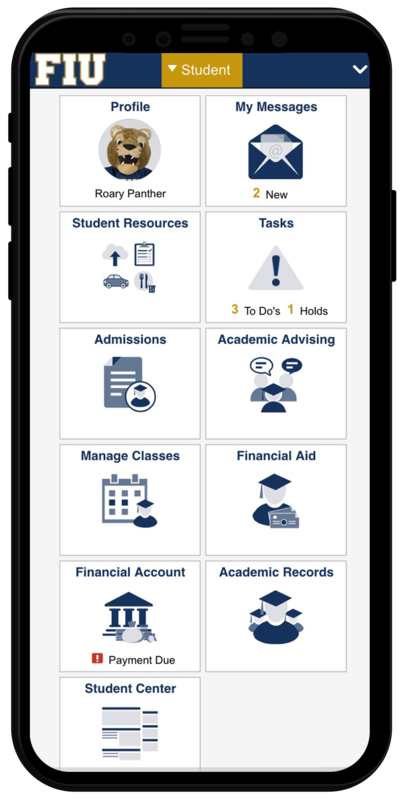 The new user interface is responsive to mobile device and smartphone screen sizes, making it much easier for students, faculty and employees to navigate to PantherSoft Campus Solutions, Human Resources and Financials pages. What will the new student homepage look like? How do I check or view my grades? 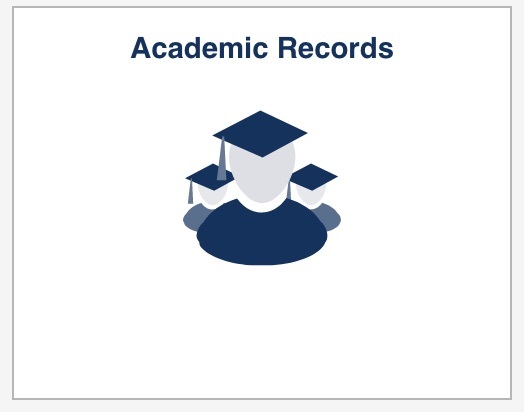 Click on the “Academic Records” Tile. Select “My Grades” menu item. Where can I add, drop or swap a class? 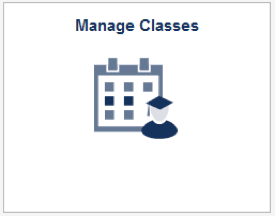 The Manage Classes tile contains all links related to enrollment. 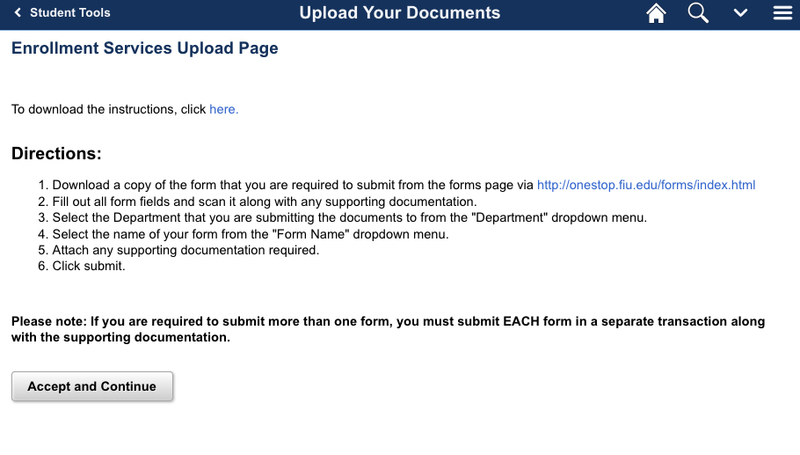 Where can I upload my forms? 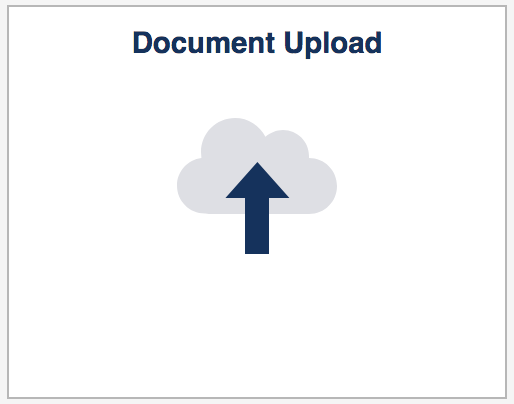 The document upload tool is located in the Student Tools tile. Where are my To-Do List items and Holds? 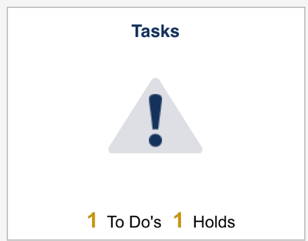 The Tasks tile contains all To-Do List items and holds. Where are my electronic forms? 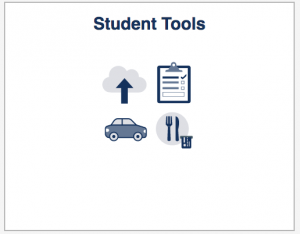 The electronic forms are located in the Student Tools tile. 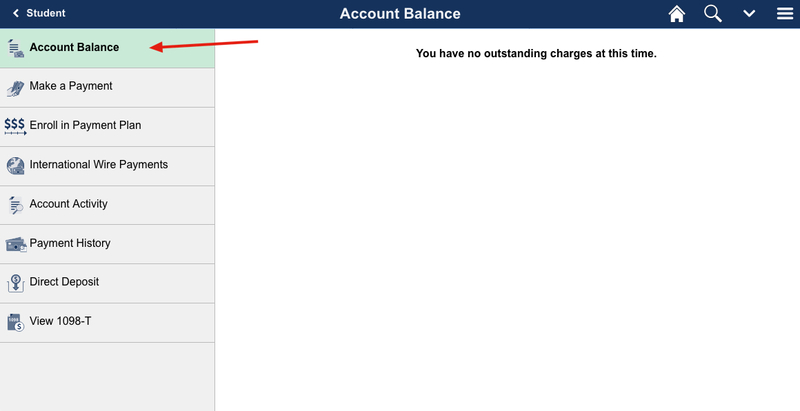 Where can I view my financial account balance? What will the Faculty homepage look like? The new Faculty homepage will provide an easy tile-based navigation to Faculty’s most important links. 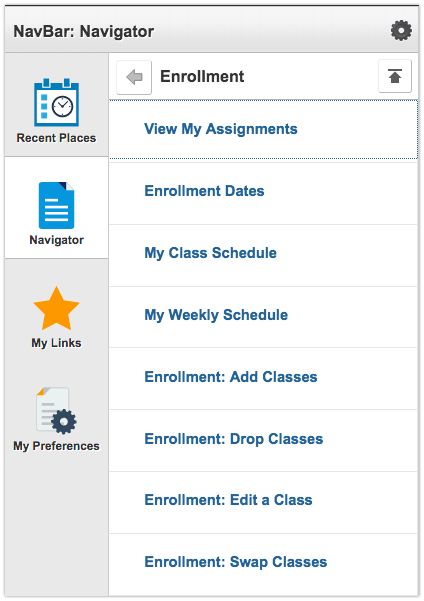 How do I view my class and grade roster? Grade rosters are available under the My Schedule tile. How do I view my SPOTs results? 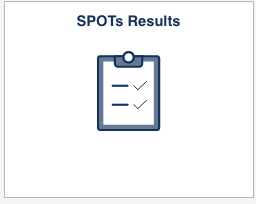 SPOTs results are located under the SPOTs tile. 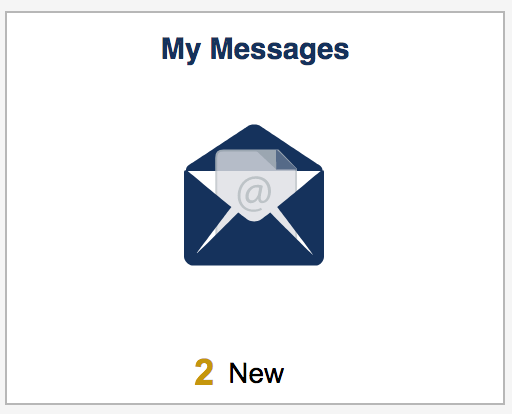 How do I view my faculty messages? Messages are located under the My Messages tile. 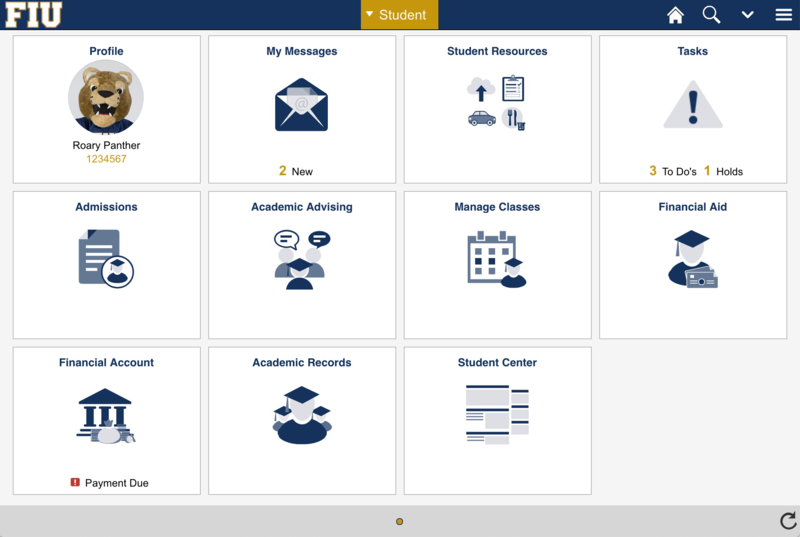 Can I get to Canvas LMS from MyFIU? Yes! 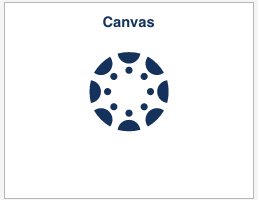 In order to navigate to Canvas, click on the Canvas tile on the Faculty homepage. You will have to sign-on to Canvas once you are redirected. What will the new Advisor homepage look like? 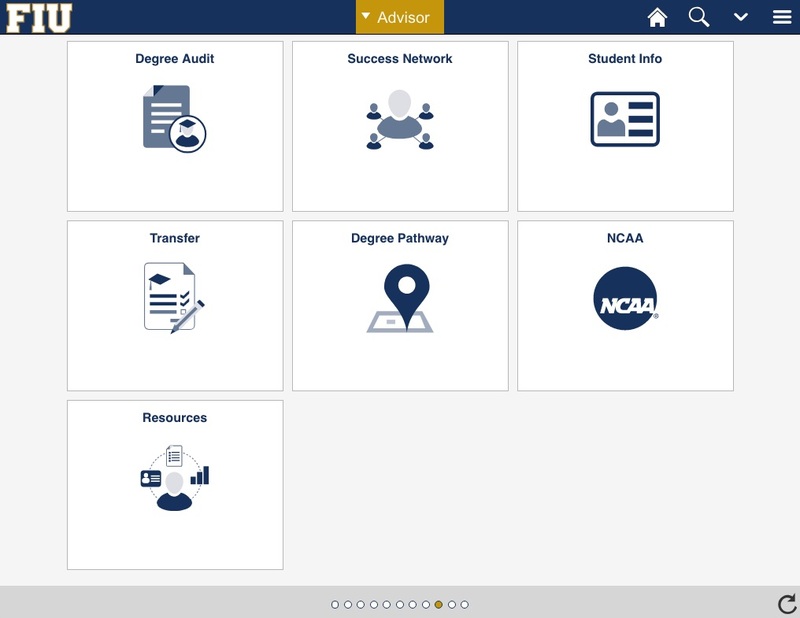 The new Advisor homepage will have easy to use tiles and navigation for advisors to better server students. Where can I see my advisees? You can find My Advisees under the Degree Audit tile. Input the student Panther ID and click Search. You will then be taken to their Student Center. How can I run the PDA for my advisees? 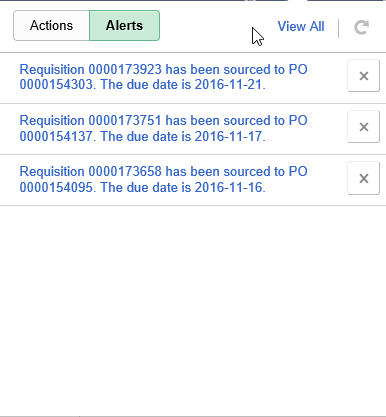 You can find and run the PDA under the Degree Audit tile by selecting Request PDA Report. 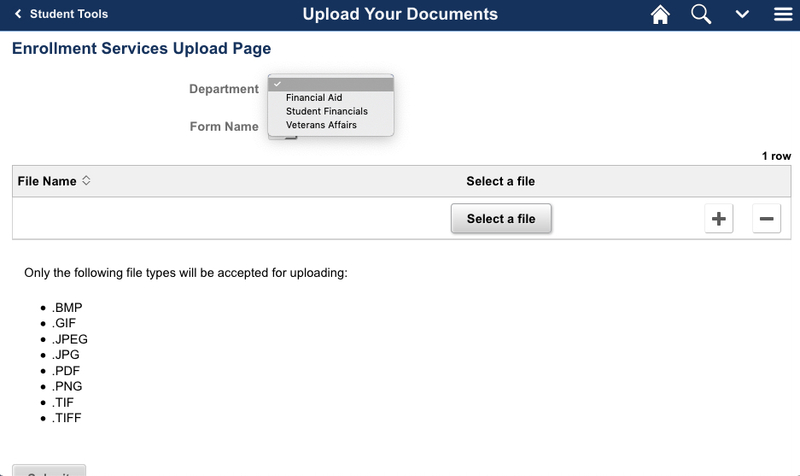 You can also run the PDA under the My Advisees link under the Degree Audit tile in your advisee’s Student Center. How can I request student exceptions? You can Request Student Exceptions under the Degree Audit tile. 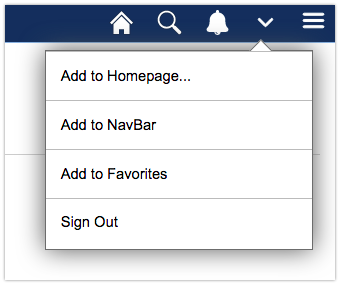 Simply select ‘Add a New Value’ and follow the prompts. 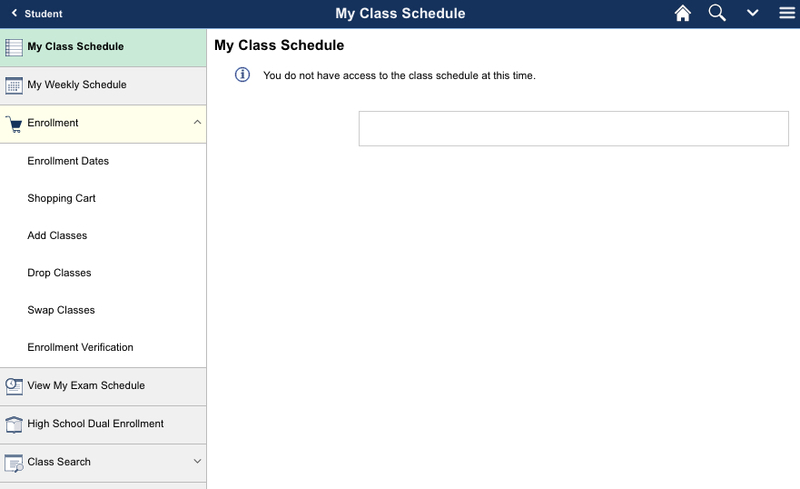 How do I authorize student exceptions? 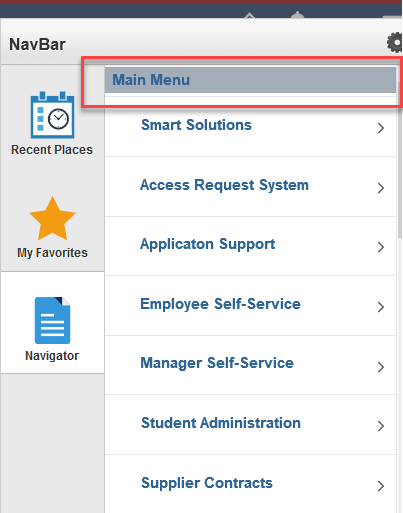 You can Authorize Student Exceptions under the Degree Audit tile. Where can I find my advisee's Graduation Certs? You can access your advisee’s graduation cert under the Degree Audit tile and selecting the Graduation Certification link. How can I view Unofficial Transcripts? 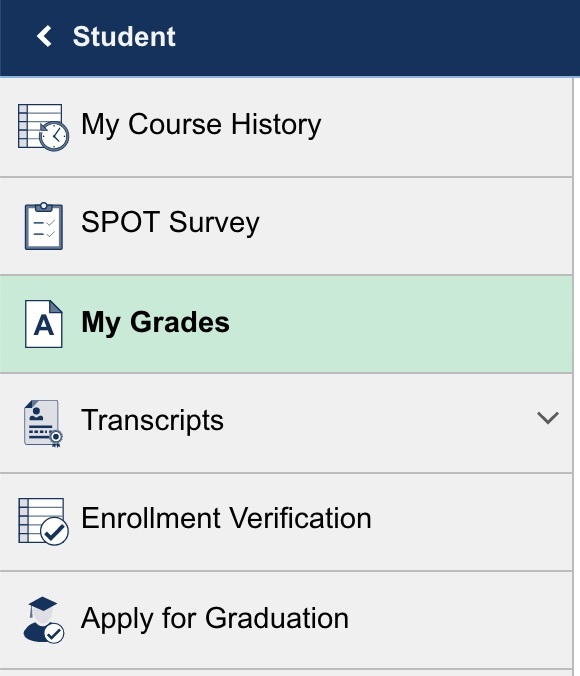 You can view Unofficial Transcripts by going to the Degree Audit Tile and selecting Student Unofficial Transcript. You may also select My Advisees link under the Degree Audit tile and be taken to the Student Center where you can access your advisees Unofficial Transcript. How can I access the Panther Success Network (PSN) (EAB)? You can access the Panther Success Network by selecting the Panther Success tile. You will be redirected to an external link: https://go.fiu.edu/eab. 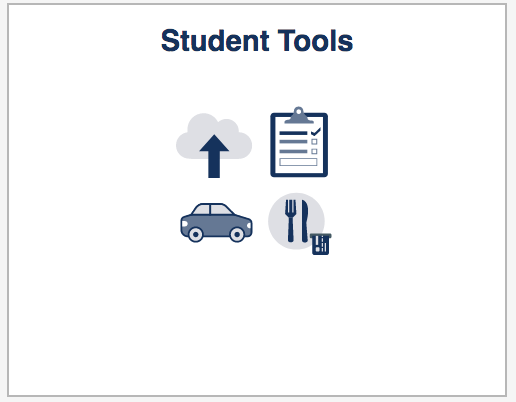 For more guidance on how to view and use your dashboard check out our tutorial at https://advisingtech.fiu.edu/panther-success-network/tutorials-and-resources/. Have any questions? Please contact advtech@fiu.edu . Where can I view my advisee's cohort? You can view your advisee’s cohort under the Student Info tile and selecting the Student Cohort Inquiry Page link. Where can I view my advisee's major? 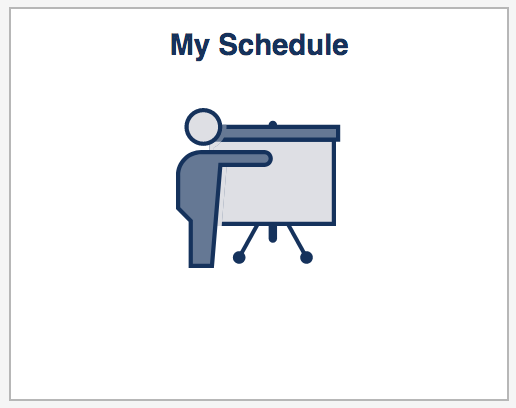 You can view your advisee’s major by going to the Student Program/Plan link under the Student Info tile. How do I access ImageNow? You can access ImageNow by clicking the link under the Student Info tile. You will then be taken to an external FIU site. Please note, you may require additional security to log into ImageNow. 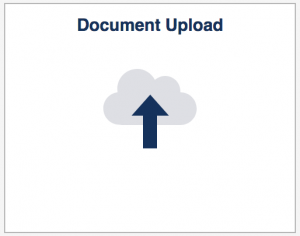 How can I view the Transfer Equivalency Database (TED)? You can find the Transfer Equivalency Database linked under the Transfer tile. You will be redirected to an external link: https://tts.fiu.edu. Where can I view my advisee's transfer credits? 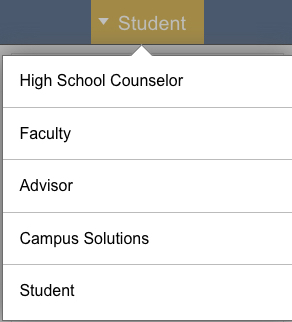 You can view your advisee’s transfer credit by clicking on the Transfer tile. There you will find Course Credits and Test Credits. How can I request new Transfer Credit Rules? You can view existing and request new transfer rules by selecting the Transfer Credit Rules link under the Transfer tile. How can I view my advisee's Test Results? You can view your advisee’s test results by selecting the Test Results link found under the Transfer tile. Simply enter the Panther ID to view. How can I view my advisee's MajorMatch results? After the student has taken and completed their MajorMatch assessment, results can be viewed under the My Major Match Results link under the Degree Pathway tile. 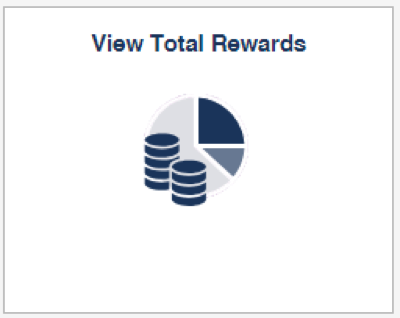 For more guidance on how to view and use My Major Match Results check out our tutorial at https://advisingtech.fiu.edu/panther-degree-audit/advisors-faculty/tutorials-training/. Have any questions? Please contact advtech@fiu.edu. Where can I view my student's major map? Student beginning Fall 2012 forward will have a major map. To view your students major map, go to the Degree Pathway tile and select the Student Major Map link. Simply enter the Panther ID to view. 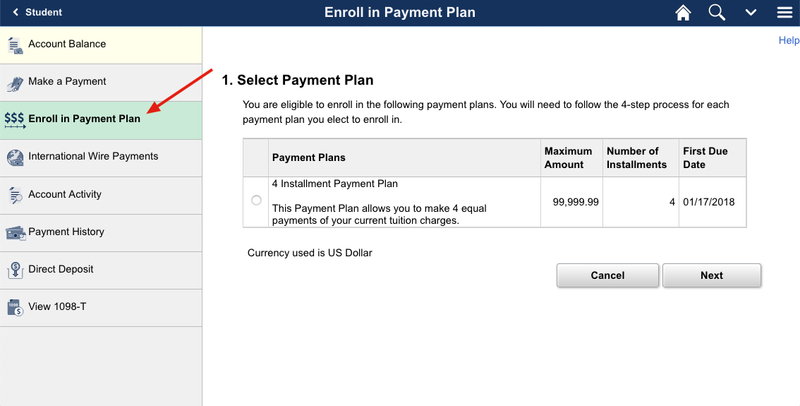 Where can I view NCAA credit information for my advisee? You can view all NCAA components under the NCAA tile. There you may select from NCAA Prior To Term Credits or NCAA Progress Toward Degree links. How can I view and run a query? You can view and run a query by selecting the Resources tile and selecting the Query View link. There you may view “favorite” queries as well as search for existing ones. Where are my navigation breadcrumbs? Breadcrumbs have been replaced with a stacking option, which is part of the Navigator. How do I personalize my homepage? 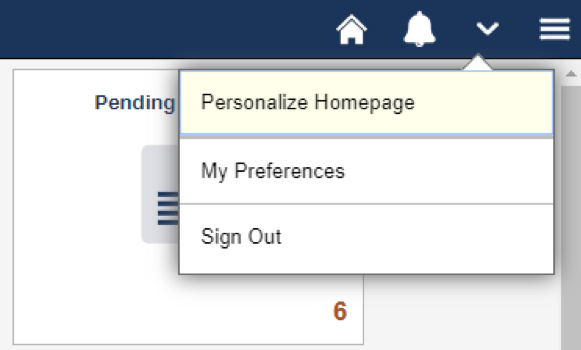 Users can personalize their home page by clicking the “Actions” icon and then selecting “Personalize Homepage.” The “Personalize Homepage” will give users the ability to add a tile, remove, and/or rearrange existing tiles on their homepage. As we get closer to the go-live date, the Division of Human Resources will be sending important information, training and manuals, and their webinar schedule. In the meantime, users are encouraged to review Oracle’s training videos to become familiar with new functionalities. What will the new employee homepage look like? 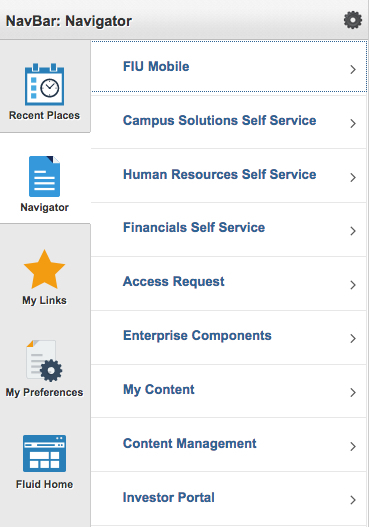 The new employee homepage will be the user’s center for navigation. It will feature transactions and data (tiles) most frequently accessed by the user. What will the new manager homepage look like? The new manager homepage will show tiles for those transactions for data a manager accesses most frequently. 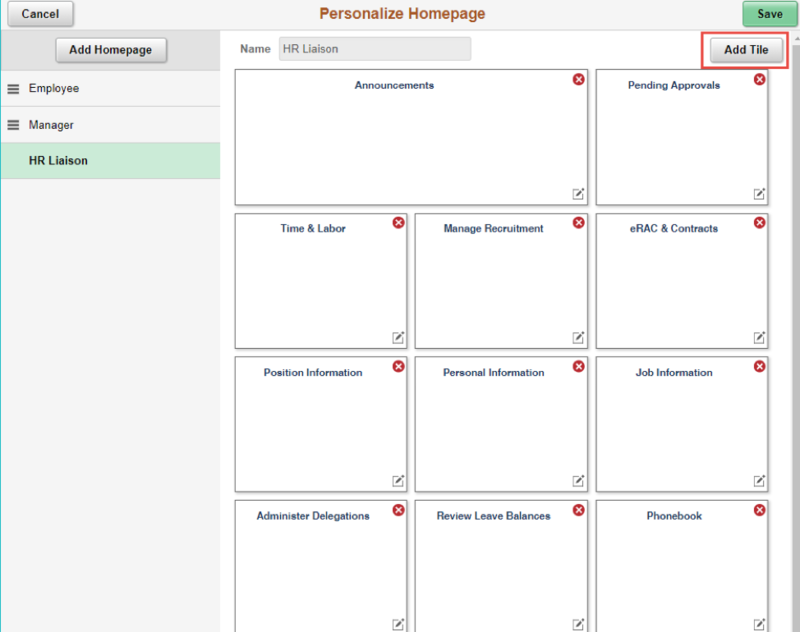 What will the new HR Liaison homepage look like? 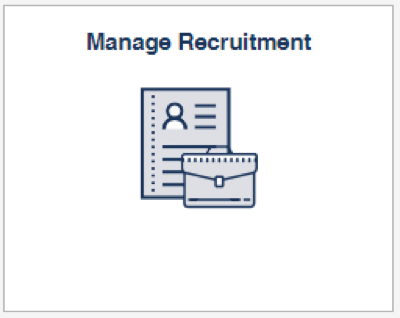 The new HR Liaison homepage will show tiles for those transactions or data an HR Liaison accesses most frequently. Where is the Manager Dashboard? The Manager Dashboard will be replaced with the Manager Homepage. Most of the information will be found in the Employee Snapshot, My Team, Manage Recruitment, and in the View Total Rewards tiles. How do I approve transactions? 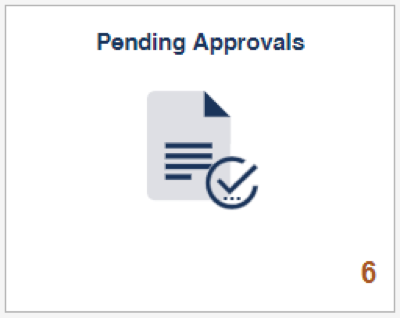 Users will now approve transactions by clicking on the “Pending Approvals” tile. Where is my navigation? Or Where is Main Menu? Main Menu is now located using the NavBar available via the Navigator icon in the upper-right hand corner of your screen. 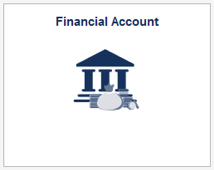 What are the Financials Homepages? 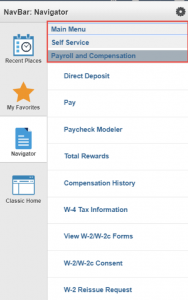 The Financials Homepages include Employee Self-Service, Manager Self-Service, and Reporting Homepage. 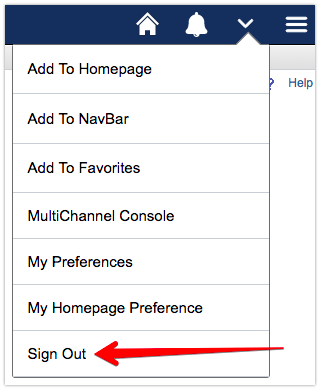 Additional Homepages may become available in the future. Homepages allow users to easily navigate to common functions related to specific topics. 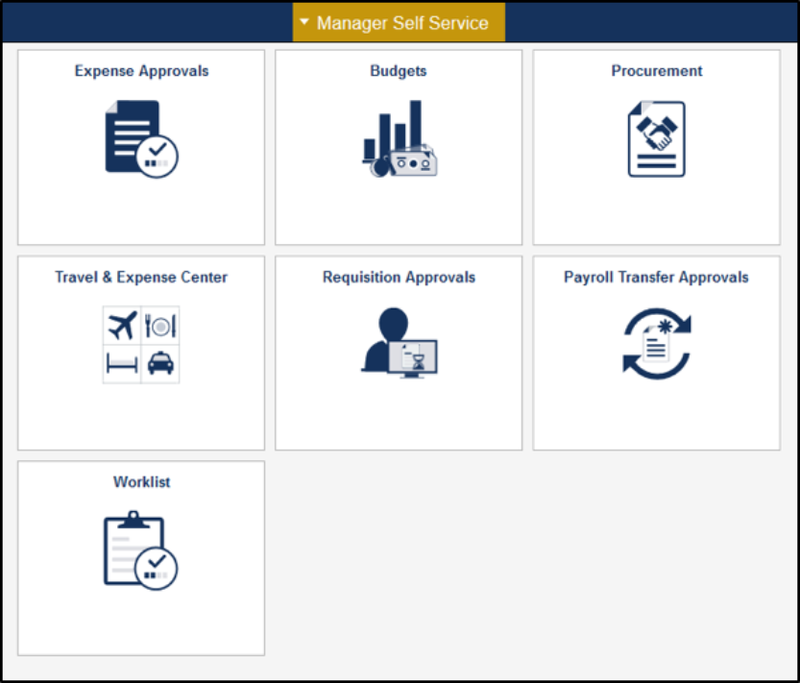 Manager Self Service homepage includes Tiles specific to manager functions such as approving transactions. 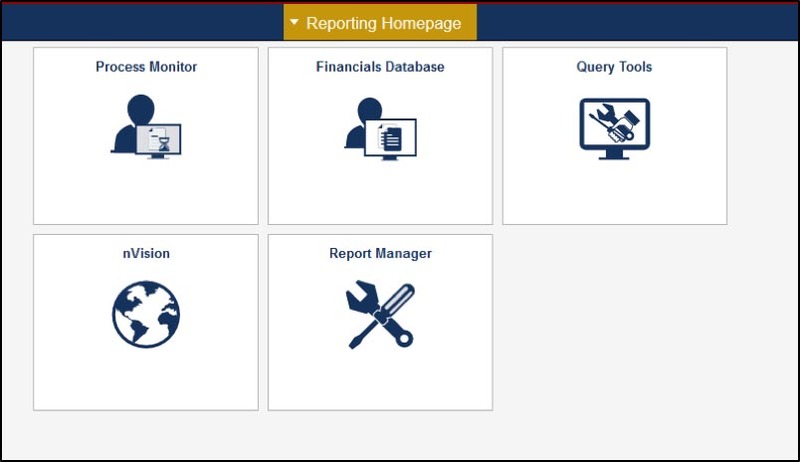 The Reporting Homepage includes Tile specific to nVision Reports and Query Tools. Should I use Tiles or the Navigator icon? Features available via Tiles are provided as a shortcut. All navigations are still accessible using the Navigation Bar. 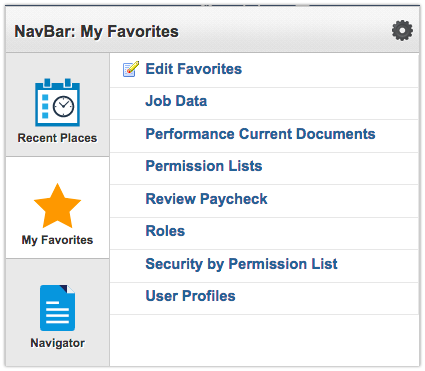 Your favorites are available under the Navigator icon in the top right-hand corner. To access them, click the Navigator. Click the My Favorites button on the NavBar, saved Favorites appear to the right. 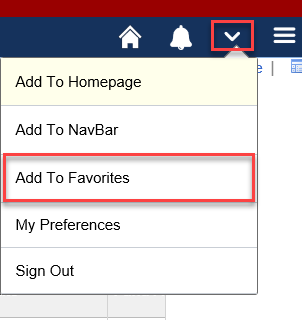 To Add a Favorite to your My Favorites, navigate to the page you would like to add. Click on the Actions icon and then Add to Favorites. Where is my Worklist? How do I approve transactions? Previous items in a worklist were used to manage pending approvals. New Tiles are now available from the Manager Self Service Homepage. 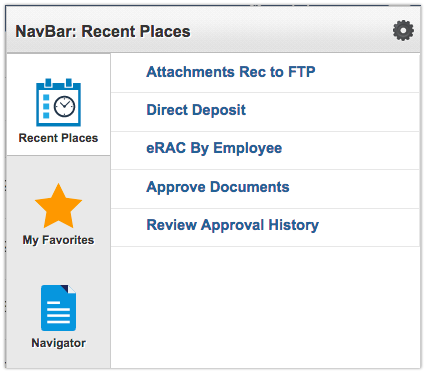 Approvals can also be completed from module specific navigation (i.e. 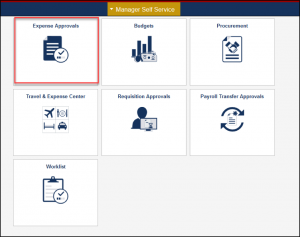 Manage Requisition Approvals). 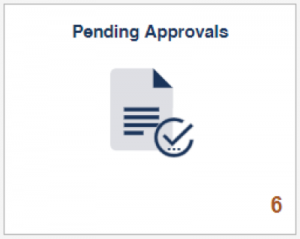 Transaction approvers will continue to receive email notifications with web links to approve. In addition, the Actions and Alerts icon displays items that you may need to take some action on (such as approval) and alerts may be notifications of changes in different modules. Click the Actions and Alerts icon. Where do I get help for Financials? Financial Systems and Support Services Help Desk is available for user support, troubleshooting and training. The Help Desk is open Monday through Friday, 8:30AM-5:00PM. Will there be training on the upgrade? 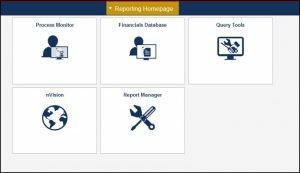 Financial Systems and Support Services will be conducting a webinar on Thursday, October 11 from 10 a.m. – 11 a.m. to provide insight on the new user interface as well as enhanced module functionalities. To register for training, visit https://professionaldevelopment.fiu.edu/. 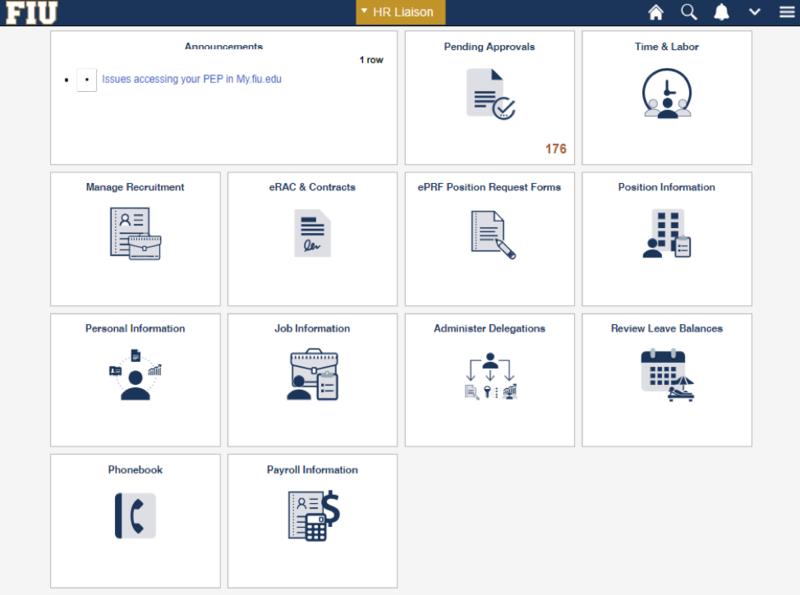 For all Financials training resources and support (including job aides), navigate to the Office of the Controller’s website and click on “Training Resources”. 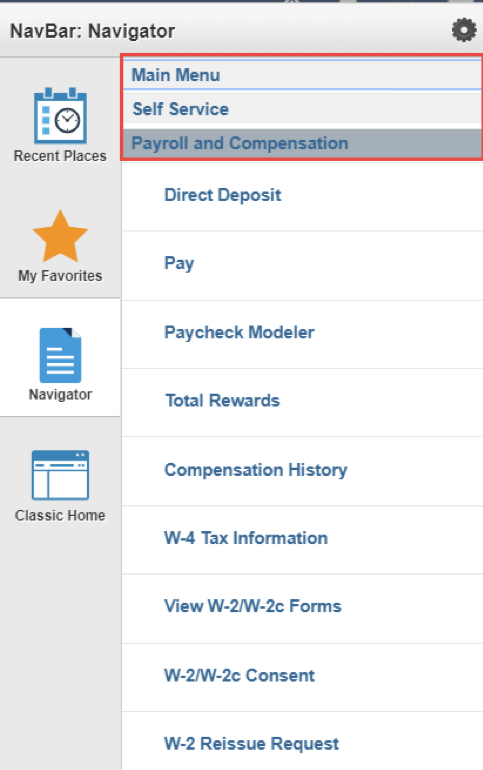 Will there be enhancements made to the Travel & Expense module? 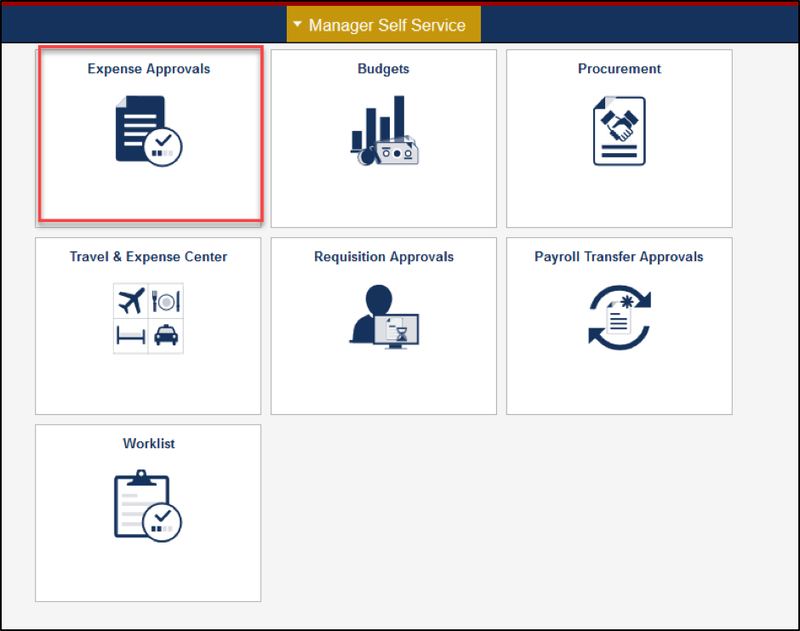 Enhancements will be made to the non-reimbursable functionality within the Travel & Expense module. Users will have to itemize all transactions and associate them to the appropriate payment and billing type. In addition, transactions attached to the University Credit Card are non-reimbursable and will not encumber. The non-reimbursable checkbox will be automatically selected and greyed-out on the Expense Report. Please note: All transactions associated with University Credit Card Payment Type have to be fully approved prior to Friday, October 12, 2018. All transactions will be sent back for update and resubmission after that date. Financials PeopleTools 8.56 & PUM 27 Webinar: October 11th from 10 a.m. – 11 a.m.